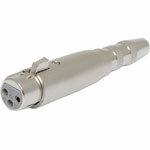 3.5mm socket to 2.5mm plug TRRS adapter. 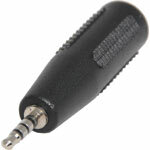 TRS 6.35mm jack socket to XLR 3 pin female. Suitable for balanced signals. 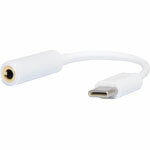 This USB-C headphone adaptor allows you to listen to music, audio books and watch shows. This is ideal for those who wish to use their favourite headphones with their smartphones that no longer have a headphone jack. 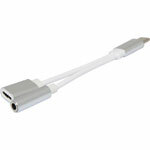 This usb-c charging cable and headphone adaptor allows you to not only listen to music but also charge your phone.